Smaller and more intimate than the New Britain General Campus, the Bradley Memorial Campus offers a unique combination of personalized care and high-tech capabilities. 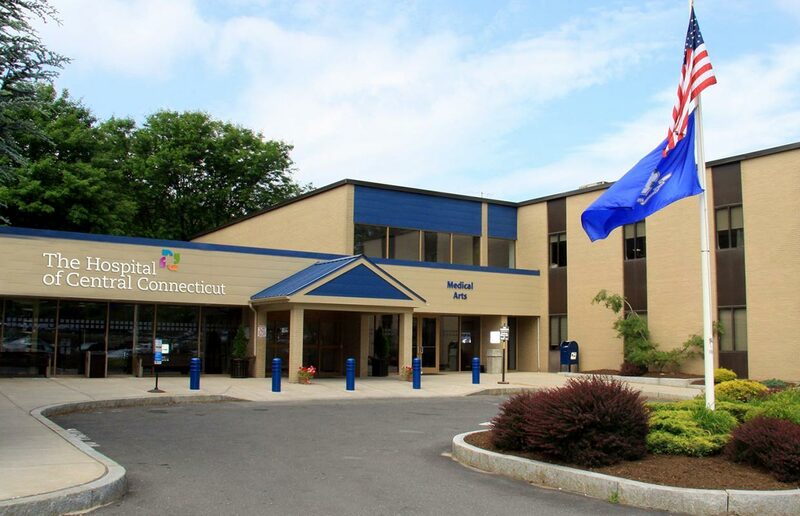 With a scope of services that complement those offered at the New Britain General Campus, the Bradley Memorial Campus offers a unique environment for healthcare professionals who enjoy working in a community setting. Take I-84 West to Exit 32. Right at the end of the ramp. Travel south on route 10 approximately 3 miles to route 120 (Meriden Ave.). 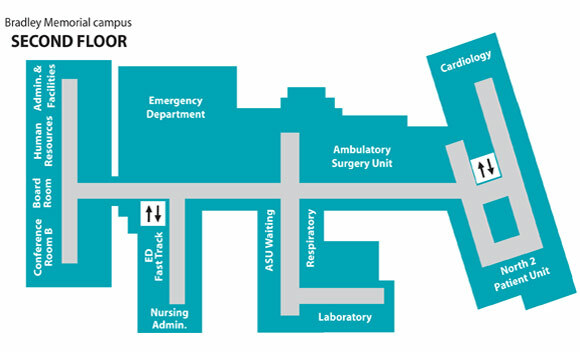 Hospital is on the left. Take Route 691 West to Exit 4. Right at first light onto route 120 (Meriden Ave.). Take I-84 East to Exit 30 (Marion Ave.). Right at Meriden Ave. (Route 120). Parking is free in the hospital lot. 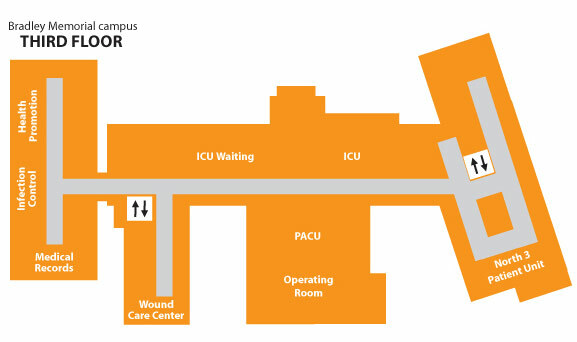 Handicapped parking is available in the lots closest to the hospital entrance.